Due to the current need for alternative energy sources associated with the practice of actions to improve the environment, residual biomass has gained ground and importance in the energy sector, because of its high availability and cost-benefit, contributing to sustainable development. 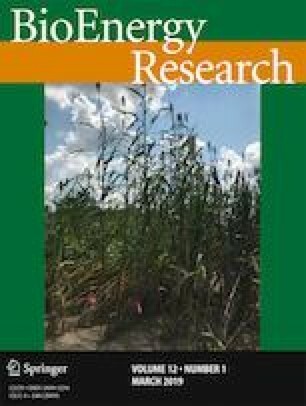 This study aimed to evaluate the process of anaerobic digestion using cassava wastewater, a pollutant and toxic residue of cassava processing, and sludge from a sewage treatment plant, to determine the best conditions for the production of biogas and to identify its chemical composition, specifically the levels of methane and carbon dioxide. To accomplish this, six anaerobic digestion media were produced and placed into 100-mL penicillin bottles. The experiments were carried out in triplicate, differentiated by the substrate/inoculum concentration (on a mass basis) and by the type of inoculum used (primary or secondary sludge). The best result was achieved using the following media: 80% cassava wastewater and 20% primary sludge, 4:1, which produced the highest methane content in the biogas over the shortest period of time, reaching 81.41% mol/mol of methane in 48 days of fermentation. In this way, biogas produced by cassava wastewater, both in large starch-producing factories and in smaller flour factories, can be used as a source of renewable energy, reducing production costs and providing an environmentally correct destination for this waste.